There’s something magical in brunch that attracts us, Londoners. There really is. Perhaps it is that the magnificent treats from both worlds of breakfast and lunch area available? Is it because no one knows the exact time for when brunch should be held and this rebellious nature plays the inner strings of our always-busy souls? Or are we simply too much of a foodie culture to admit it? Brunch is delicious, it is relaxing and it should be obligatory all around the world. Before that happens, we are to enjoy our nutritious meals here, in the Big Smoke. But where? I mean, with the diversity of restaurants and pubs at our disposal, how can we not get lost in the temptation? 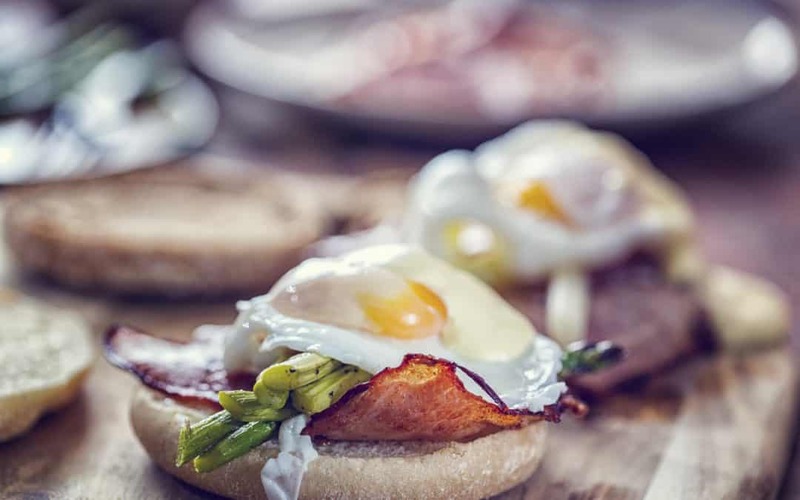 By learning about the best places that serve brunch according to London relocation. Do note that brunch is love, brunch is life, hence no particular place that has it on the menu can be called a bad place. This is also why all the places on our list don’t have a particular order. None is better than the other is, because all of them are simply splendid. It’s weird to start a list about something as London-ish as brunch with an American place, but Balthazar definitely deserves the “opening credits”. With its unique recipes coming from HQ in the Big Apple, Balthazar will be a unique treat for Londoners with a sweet tooth for pancakes with maple syrup. There’s also a wide assortment of great pastry and eggs cooked in every imaginable way but the pancakes are the real headliner. Give them a bite even if it is the last thing you’ll do. They are worth it! Is there a raging fire in you? No? Because there will be after you give a taste to what the chef of Berber & Q has to offer. Surprisingly, spicy, flavor-filled dishes from the Eastern kitchen make for an exquisite brunch. And it’s not just the taste and the look of the food – even its name is stomach juice-provoking. The shakshuka of roasted peppers or the Turkish eggs served with paprika butter sound like an eastern fairytale come true. They taste like one as well. Yes, the menu here isn’t all that different for brunch hours on Saturdays and Sundays, but hey, why should they be? The place serves jaw-droopingly good bird bits as it is. But a Sunday brunch, my dear readers, is the real treat. You can order a whole chicken dressed in sauce. I swear to God if every chicken we have on the planet tasted THAT good we wouldn’t have any eggs by Tuesday. Smoke & Salt is one of my personal favorites in the entirety of London. Yes, it is small, but it has the spirit of a fighter, the charm of Winston Churchill and the attitude of the ever-so-happy Winnie The Pooh. Plus where else will you see a kitchen made out of an old shipping container? A brunch here will easily morph into an all-you-can-eat meat fest with the treats grilled as deliciously, as they are here. For every out there meat love in London – go check out Smoke & alt. Thank me later. You definitely know that something is a really big thing when there are slight alterations of it that are considered as the “new and improved” version. Brunch, for instance, has Frunch presented in the Bad Egg. And, truth be told, I might dig it even more, because a – it is bottomless for as little as 35 pounds and b – it takes place on a Friday. Yes, you have the Friday to join a hip crowd, enjoy Hip Hop and treat yourself to fantastic American dishes. Oh, and did I mention that there are Mimosas? Would you like to taste Australia? Because you can in Antipodea, an all-day brasserie that transforms by a wave of a magic wand into a bustling dining spot at night. Given the duality of the place that comes from the box, there’s no wonder that they’ve managed to combine breakfast and lunch into something wonderful as well. Turkish pides, a flat-iron steak and eggs in all shapes and sizes await for you here, in Melbourne… oh, sorry, I meant in London. It is just too easy to confuse the two when you are here. Had a rough night? There’s nothing like a string, Nordic breakfast to wake up the Viking in you. A Viking capable of moving on despite the obstacles of a hangover. The food here is… plentiful, to say the least. Perhaps even too plentiful to be called with a word that has breakfast in it and yet, here we are, nomming on those delicious Swedish pancakes with bacon. That noted the place is worth your visit even if the food was to be left aside. A simple glance at the golden bar and the interior of the place are well worth your time spent commuting. Yes, 20 pounds will, in fact, get you a bottomless barrel of prosecco. Top it off with poached eggs or shakshouka and you’ll feel fine and dandy for the rest of the day. Isn’t that what brunches are made for? This used to be a pub once. Was it a good pub? Yes, it was. Bu all means, it was. But it has since transformed into a fabulous neighborhood restaurant with chandeliers, Bermondsey beers and a day-&-night menu with two primary focuses: a page for meat lovers and a page for the veggie foods. I love this place because of its strong British vide, friendly atmosphere and jaw-droopingly good food. I also love it because the brunch menu opens a new page of a food fest to every visitor with a heavy emphasis on combining the greens with bacon and sausages. Well, Jenny, here we are – this place has it all so please be kind enough to shut the hell up and enjoy a decent meal. PS: Why does every group of friends today have a Jenny?